The son of Frank J. and Catherine (Brennan) McCarthy, he was born on October 8, 1920, in Boston. He was baptized at All Saints Parish in Roxbury, Mass., on October 31, 1920. He attended Boston Grammar School and spent two years of high school at Boston Latin. He attended two years of high school at St. Mary’s Seminary in North East, Pa., then completing his studies at St. Mary’s and Mount St. Alphonsus, Esopus, N.Y. He made his novitiate at Ilchester, Md., and professed his vows on August 2, 1942. He was ordained to the priesthood on June 22, 1947. His first assignments were in Brazil. He served in Campo Grande from 1948 to 1949, Bela Vista from 1949 to 1952, Aquidauana from 1952 to 1956, Monte Alegre from 1957 to 1961, and Curitiba from 1961 to 1967. In 1967 he returned to the United States to the provincial residence and served as assistant procurator from 1967 to 1976. He took over the job of procurator in 1975 and continued in that capacity until 1990. In 1990 he moved to OLPH 61st Street and was stationed there until 2015. In 2015 he was assigned to the provincial house. 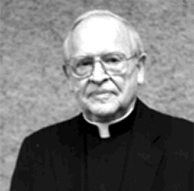 Father McCarthy is remembered by the confreres of Brazil as a builder. He built the present rectory at Monte Allegre, replacing a small rectory with little privacy. His biggest building project was in the city of Curitiba. There he replaced a small chapel dedicated to Our Lady of Glory that held about 100 people with a church at another location that holds about 600 people seated. He had the land for the new church donated. The new church was necessary because Father McCarthy and his confreres were so successful at promoting devotion to Our Mother of Perpetual Help. The devotion overflowed the Chapel of Our Lady of Glory onto the sidewalk and eventually into the street. Every Wednesday the police had to block off the street to protect the people coming to the novena. Even with the new church the novena has people standing inside the church and outside the doors. There are presently 10 novenas a day on Wednesday. His love of Mary grew through the town and surrounding area. Father McCarthy was a person of great energy. He was always working on something or planning for the future. When he came back to the Unites States, he watched over the endowment of the Baltimore Province and saw it grow for the future. He was recognized as a person who was faithful to prayer and who looked forward to helping out on the weekends from the Provincial Residence. May the Lord bless him and lead him to the Kingdom of Heaven. I wish to thank the Revs. John Kennington, John Hennessy, John Devin, and Francis Sullivan for sharing their memories of Rev. Raymond McCarthy, C.Ss.R.